Feel the difference with Richmond’s #1 Voted Hot Yoga Studio. Hot House Yoga RVA is voted as the #1 Hot Yoga in Richmond, and is known for it’s comforting and “family-like” vibe. Located in Midlothian and the West End, Hot House Yoga RVA offers styles of yoga that are for everyone, from beginner to the experienced yogi. We offer 75+ classes every week known as “Flow,” “Stability,” and “Yin”, all of which complement each other perfectly to transform your mind and body. If you’re seeking not only an addition to your workout regimen, but a new mindset to take off the mat and into your everyday life, Hot House Yoga is for you. We value Consistency. Trust. Compassion. Patience. Kindness. Our vision is to provide a safe and healthy environment for growth and learning based on yoga principles and philosophies. Our mission is to help people live better lives through the practice of yoga. From the moment you walk into the door, to the end of Savasana lying on your mat with a cold lavendar scented face towel, you will feel the difference of Hot House Yoga RVA. We have yoga mats, blocks, straps, hand towels, large shower towels, earth-friendly bottle filling stations, storage, shampoo, blow-dryers, and bags for your wet clothing to accommodate you with everything you will need. Our spa-like bathrooms feature private showers cleaned multiple times per day, private lockers and cubbies all in a comforting yet high-end environment. Our world-class yoga instructors will not only welcome you in with open arms, but will help guide you throughout the poses and class. We believe in providing an open and hospitable environment for our students to feel comfortable and welcome. Hot House RVA is proud to offer the healthiest and most carefully monitored air quality in Richmond. Our system purifies the air to eliminate bacteria, viruses and odors that can occur in heat. We are all here to help each other, to grow, to accomplish. 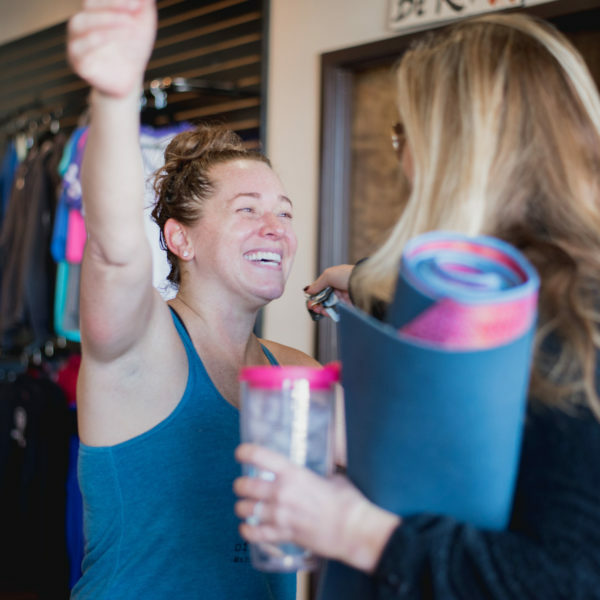 Not only will you find the staff and instructors bringing a family-vibe, but you’ll start becoming friends with other yogis. We are one big happy RVA family! From the early am to the evenings, we have classes daily to fit into everyone’s schedule. Try Hot House RVA with No Strings Attached. Everything you love to do benefits from the increased strength, endurance and flexibility you develop in yoga. Visit a studio near you and get your first 3 weeks of unlimited classes and all-studio access for just $59. All classes are suitable for both men and women and all levels of fitness are welcome! Hot House Yoga is awesome! They have many classes/day to choose from, and three different styles of classes. The instructors are knowledgeable and give a lot of cues. The front desk staff are friendly and attentive. The locker rooms are very clean and spa like. Towel service is a valuable add on service! I highly recommend Hot House Yoga! I can’t say enough about Hot House. Long day at work…I head to Hot House for my personal Zen time. All my thoughts from the outside fade away and I am totally in the moment. What is even better I take care of my emotional health but my physical health benefits as well. I had a total right hip replacement in 2015 and have found no other exercise to be as helpful as what I have learned at Hot House. Best place ever!!! This is not only the best yoga studio in town, but also one of the absolute best fitness studios I have ever been in my life in terms of methodology, personnel, attitude, dedication, professionalism, involvement, education… I just love this place and all its yogis. You continue to teach me so much. Not just about yoga, but about myself, reaching inside, finding my own peace, being patient. Feel the difference with no strings attached.